A happy coincidence allowed Jobs with Justice (JwJ) to continue Bread & Roses under the direction of Joan Suarez, a volunteer JwJ leader and Community Arts Training Institute (CAT) Alum, who agreed to coordinate the Bread & Roses program. With funding from Kresge Arts in Saint Louis and a grant from the Regional Arts Commission, Suarez, along with two of her CAT colleagues, created a 30-week pilot project called “Community Exploration: Home, Family and Work” for Riverview Gardens High School students. After a second year at Riverview, the program moved to the Wohl Recreation Center, one of seven City of Saint Louis owned and operated recreational facilities, all located in low-income neighborhoods, and was re-tooled for middle school students. In 2013, a successful twelve-week pilot program resulted in an invitation from the Recreation Centers Facilities Director to Bread & Roses to return for a seven-week summer program at Wohl and one additional center, the Gamble Community Center. While at Gamble we delivered the basic program to 30 youth, at Wohl twenty-five youth, about half of whom had participated in the earlier pilot program, chose to build three larger than life puppets out of bamboo and paper Mache designed to resemble three iconic Missouri African-Americans, George Washington Carver, Annie Malone and Percy Green. State Representative Karla May, who represents the neighborhoods in which these centers are located and who has a theater background, volunteered with the program over the summer and offered to write a script for a “Larger than Life” Puppet Show. In the fall, seven of the youth “tried out” for roles in the puppet show and after two months of rehearsals, the Puppet Show came to life on January 23rd for an audience filled with Wohl Center families and other members of the community. From these beginnings, the program has grown and expanded. 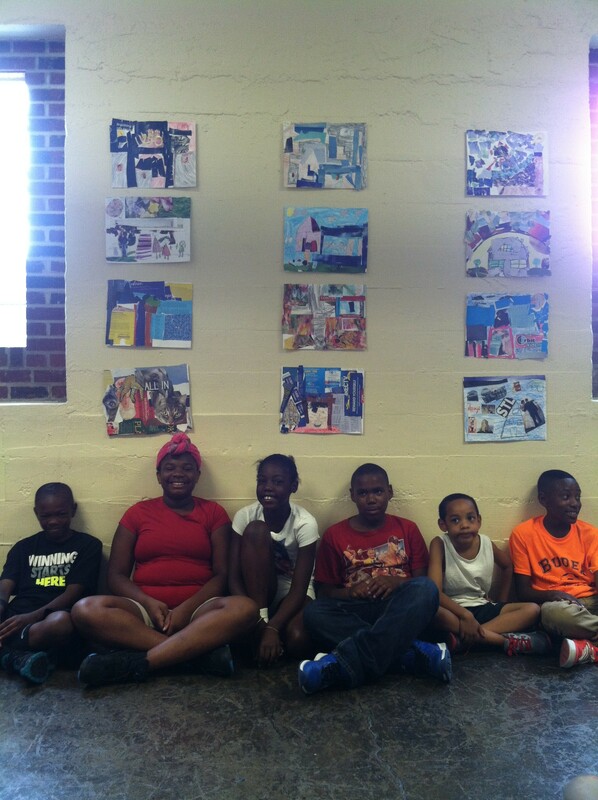 Through 2018, artist-led workshops have become an integral part of summer camp programs at six St. Louis city recreation centers that mostly serve African American youth, and four faith-based venues for immigrant and refugees. The program has served 250 to 300 inner-city youth between the ages of 7 and 12 over two months every June and July since 2012. The program is led by Dail Chambers, an award-winning artist and activist, who exhibits and lectures nationally. Teaching staff have previous arts and/or humanities teaching experience with children and have been recruited primarily through the Regional Arts Commission (CAT) Institute. The curriculum for the program has been documented, tested, evaluated and organized for continued expansion. Expansion includes a new venue in 2020 at the Gene Slay Girls’ and Boys’ Club’s new facility to serve immigrants and refugees in the Dutchtown neighborhood of St. Louis, a seriously underserved community.